Sebastian Vettel admits he had to calm himself down in the final few laps of the Malaysian Grand Prix as he closed in on his first victory at Ferrari. 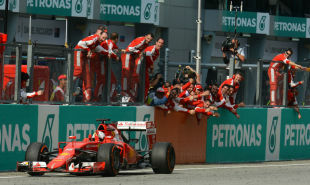 Vettel turned in a wonderful drive in Sepang, mastering a two-stop strategy for his first win since Brazil 2013 and Ferrari's first since Fernando Alonso's Spanish Grand Prix triumph that same season. Since moving to Ferrari Vettel has made his affinity for the Italian outfit clear and he says the moment got to him in the final laps. "I shouldn't say it, but I don't know," Vettel said. "I was s***ting myself in the last few laps because here and there the thought was coming into my head, I was looking at the top of the chassis, and thinking 'this is a red car, you're about to win!'. And then I thought 'stop thinking about it otherwise you'll miss the next apex or something'. Real relief to cross the line in the end!" There was clear emotion on the podium for Vettel, who said his long wait for a victory and his struggles in 2014, coupled with life at his new team, made it all the more special. "A phenomenal day. How does it feel? It feels incredible, to see the guys when I looked down from the podium. I can only recall the victories Fernando [Alonso] had at Ferrari and especially Michael [Schumacher]. It's incredible to become part of this team, it's something special. It makes me very happy obviously. It's the first win in more than a year now. I missed not only the champagne but the top step in particular. It's great to come back after a tough season last year where I just didn't get on top of the car. This year the balance seems to suit me and has come my way and Kimi's way more than last year. 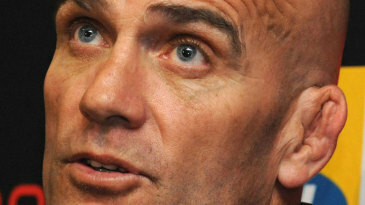 "I'm very pleased, the strategy today was obviously ace. A big thanks to the guys, they pulled in obviously. We were a bit surprised but we saw on Friday they weren't happy on the medium compound and Lewis was struggling in the first stint so I was able to keep up with him, which I enjoyed a lot. After that I knew I had to deliver, trying to make those tyres last and try and trying to push as hard as I can. Second stint he was chasing me down, which was tough, as he has a stronger second stint but I was able to rebalance the car and have a pretty solid gap the last couple of gaps." 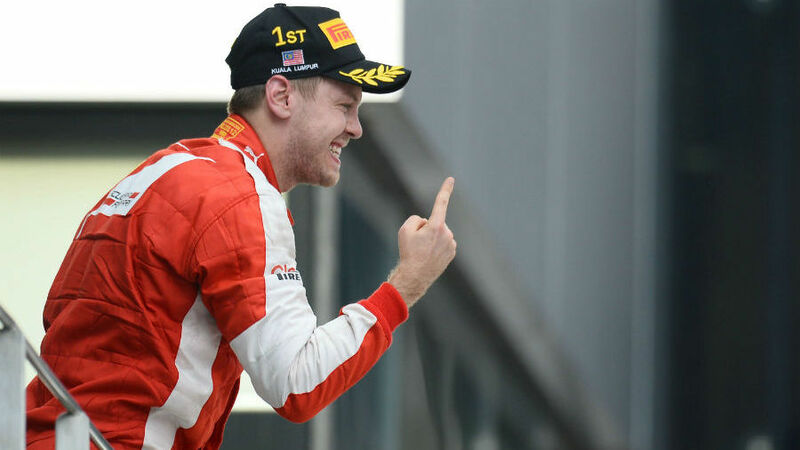 Vettel grew up idolising Michael Schumacher, who won five world championships at Ferrari at the start of the 2000s, and he said this made the win even more special. "It's a dream. When I grew up Michael was my hero. For all of us, and I talk for all the kids at the go-kart track in Germany, we were looking up to him. When he turned up every year to shake hands and to look after us a little bit it made our lives. That's why I think today I probably don't understand how special it is yet - very emotional."